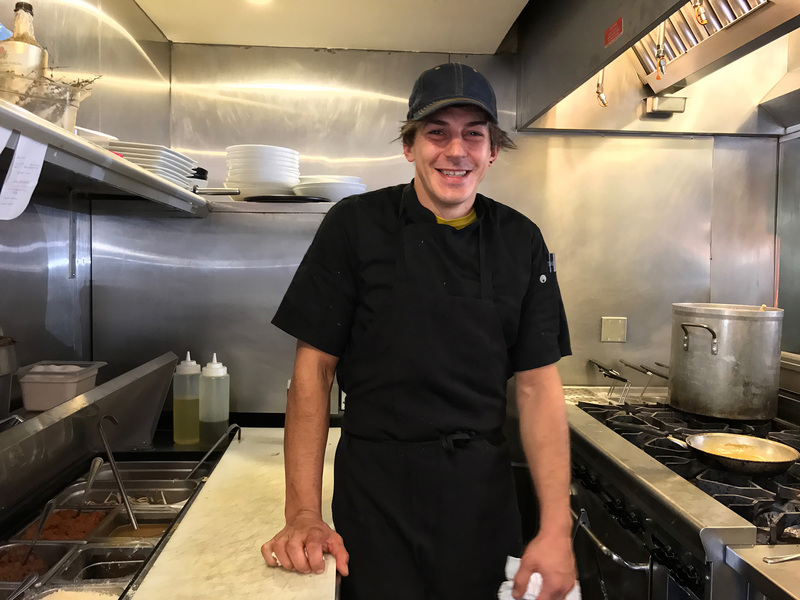 Michele Belotti, the young chef/owner who runs the show at his namesake restaurant, is one of the most unpretentious folks in the business of cooking—and one of the most talented. 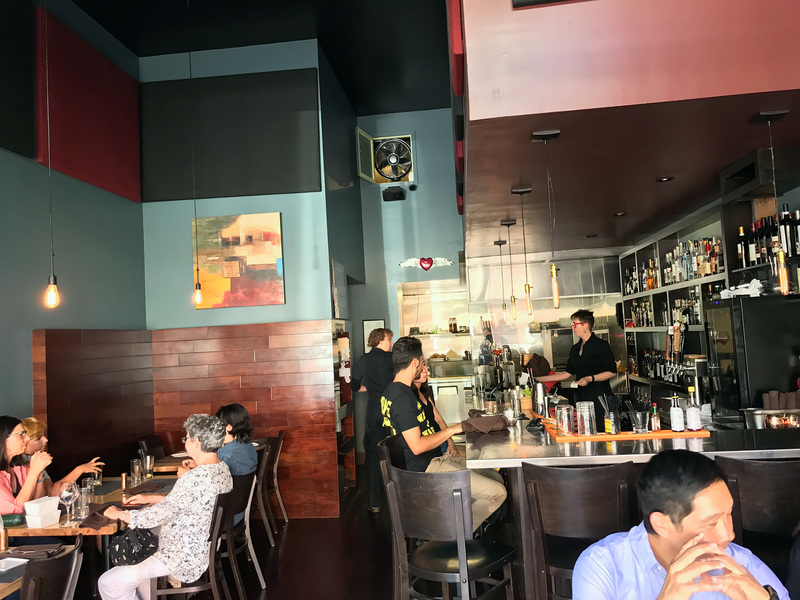 Not even two-years-old, Belotti Ristorante (soon to be Belotti Ristorante & Bottega, as plans to open a shop on Piedmont Avenue continue to unfold) has become a Bay Area destination for traditional northern Italian dining. 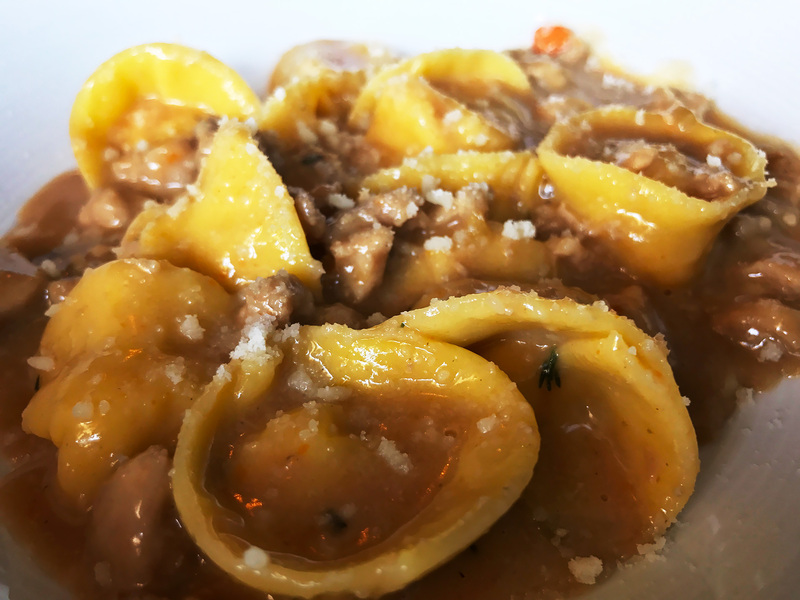 Pastas from Lombardy and the Piedmont region form the heart of the menu, and there are a handful of home-style secondi, or main courses, as well. When I say “traditional,” I mean it in the most literal sense, and apply the term both to the food here and the style of dining. 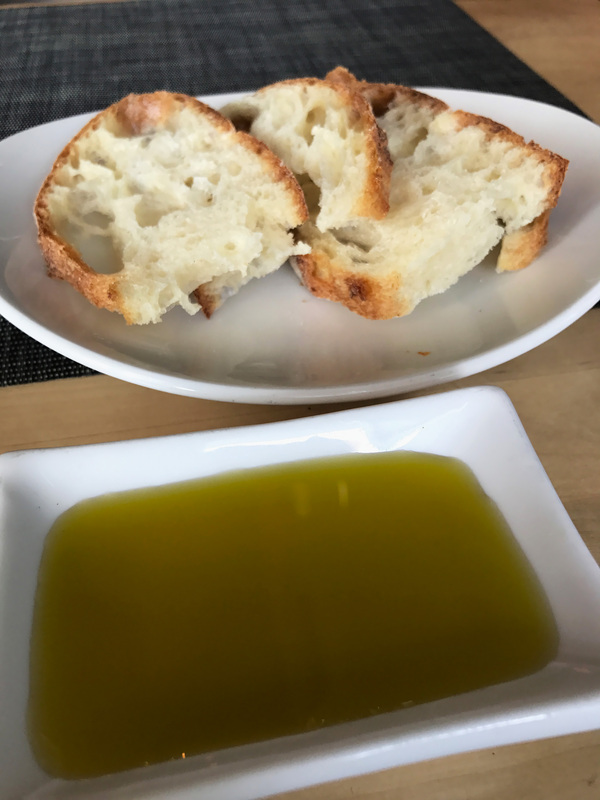 With the exception of several stellar locally sourced products, such as Séka Hills olive oil, Belotti imports its favorite products from regional producers in Italy, many of which it plans to sell in its shop. And the recipes are not light, as we’re accustomed to in our temperate climate and health-conscious food scene; they’re a hearty, meaty, buttery, and divinely carbohydrate affair. The food is also not trendy in the least; you’ll find no avocado toast in sight. So, if you walk in on a hot Thursday afternoon for lunch, you shouldn’t expect to see a menu that reflects the weather. You’ll find traditional, lovingly prepared, and hearty food, and you’ll want to order a big red wine to go with it, no matter the temperature outside. And then you’ll want a nap. The only thing about the restaurant that isn’t traditional, in the Italian sense, is its open hours. 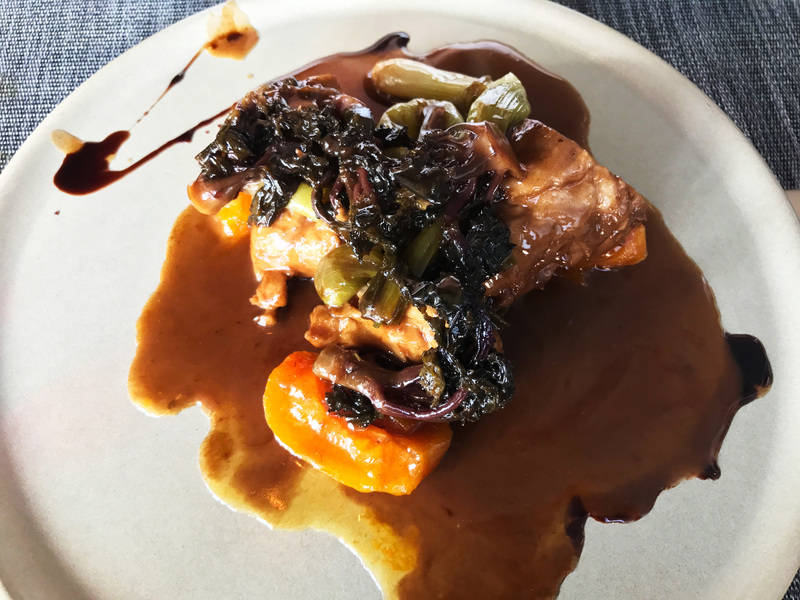 As per American custom, Belotti doesn’t close between lunch and dinner, and that’s a good thing because it’s hard to get a reservation unless you want to dine at 3:30pm. But the food is so good, I’ll take that time-slot any day of the week. You could do worse than to order multiple pasta courses, and share, but the menu is designed around the idea of three courses—antipasti, primi (mostly pastas, with one risotto dish), and secondi—plus vegetable side dishes and dessert. Nonetheless, what shines here are the northern Italian pastas that Chef Belotti learned to make from his mother: labor-intensive shapes and cuts, all handmade (with the exception of a dried spaghetti meant to be served al dente), and all served with equally complex sauces, often meat reductions cooked for days. On our first visit, we ordered a salad, two pastas, and one meat dish to share, and portions were more than ample. 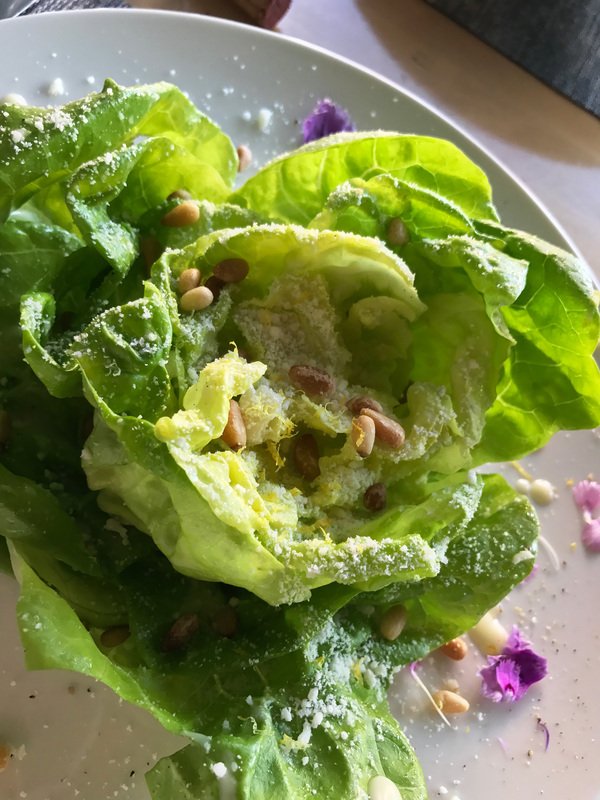 The salad was among the simplest and most delightful I’ve had in ages: living butter lettuce with lemon dressing, grated Grana Padano cheese and roasted pine nuts, exuding the simplicity that the entire menu embraces. It was plated as if still a whole head of lettuce, so basically deconstructed and reconstructed in what seemed like an effortless gesture that I’m sure isn’t. Our two pastas were a study in contrasts. 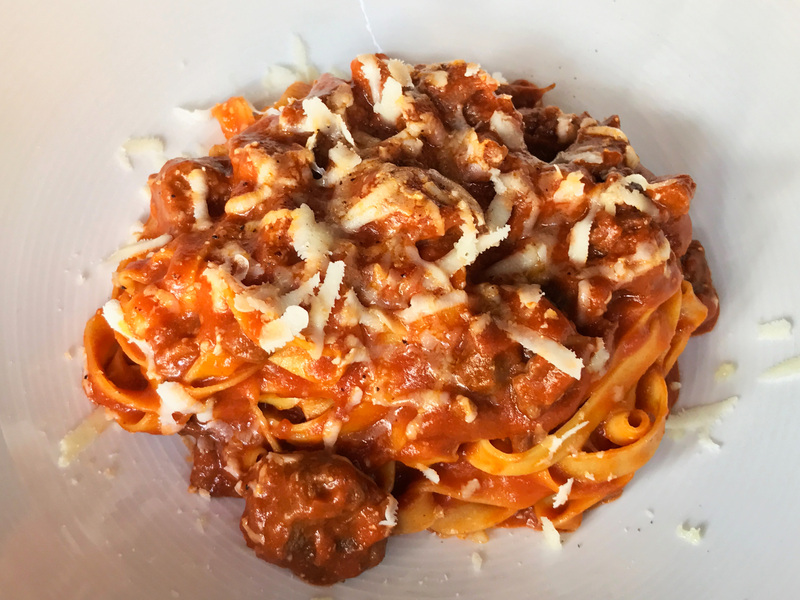 The tagliatelle with wild boar sugo, pecorino di Rosso Toscano and liberal turns of black pepper was rich and toothsome, the narrow-width, flat pasta noodles tossed in the tomato-based boar sauce. (I thought the dish was over-sauced, but my wife did not, so that remains a matter of personal preference.) The casoncelli, on the other hand, somewhat gyoza-shaped dumplings stuffed with beef, prosciutto, pork shoulder, grana, smoked pancetta and sage, was an instant hit and an example of the kitchen’s classic bent. This is a traditional dish of Lombardy, where chef Belotti grew up, and he counts the dish as among his favorite of his mother’s recipes. 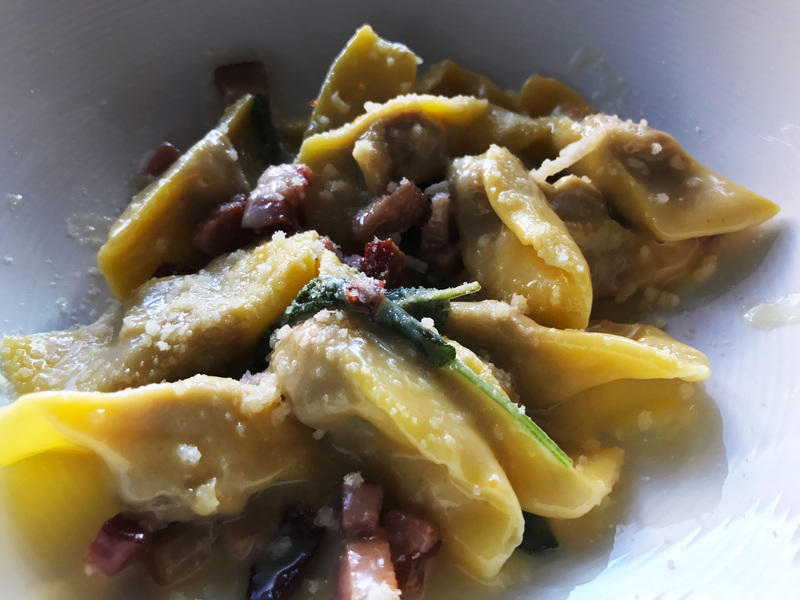 The beautiful hand-formed dumplings are coated in butter and pecorino and punctuated by little cubes of pancetta. We chose the maialino as our main course: suckling pig from Stone Valley Farm, slow-cooked for 13 hours and served with caramelized apricots, lollipop kale, and green onions, topped with a balsamic reduction. 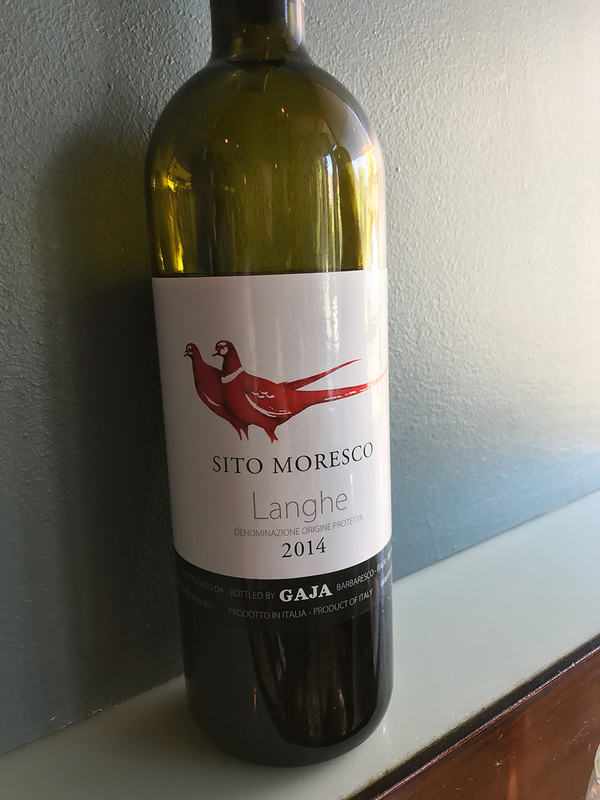 While it was a splendid dish, it didn’t go well with the bottle of gorgeous Gaja Langhe we’d splurged on; the dish had too much fruit-sweetness to play nicely with the elegantly structured Piedmont red wine. The pork dish was better suited to a crisp white. On a second visit, we tried two more homemade stuffed pastas, equally delightful. The only way to really choose between them is to base your decision on ingredients. 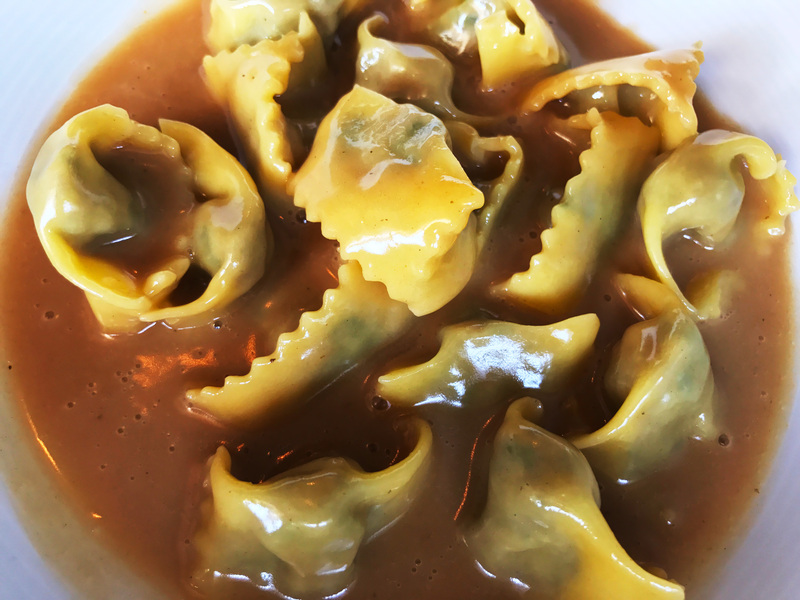 The agnolotti di Lidia has a blend of meats: beef shank, flat-iron steak, pork loin and sausage, with escarole, spinach, and grana, served in a silky-smooth beef reduction sauce. The tortelli di polenta, on the other hand, is filled with fine-ground yellow polenta (an odd-sounding filling for egg pasta, but it works) topped with rabbit sugo garnished with thyme and grana. They are both rich and hearty, so if you’re sharing, you might consider getting two styles of pasta more different from each other. 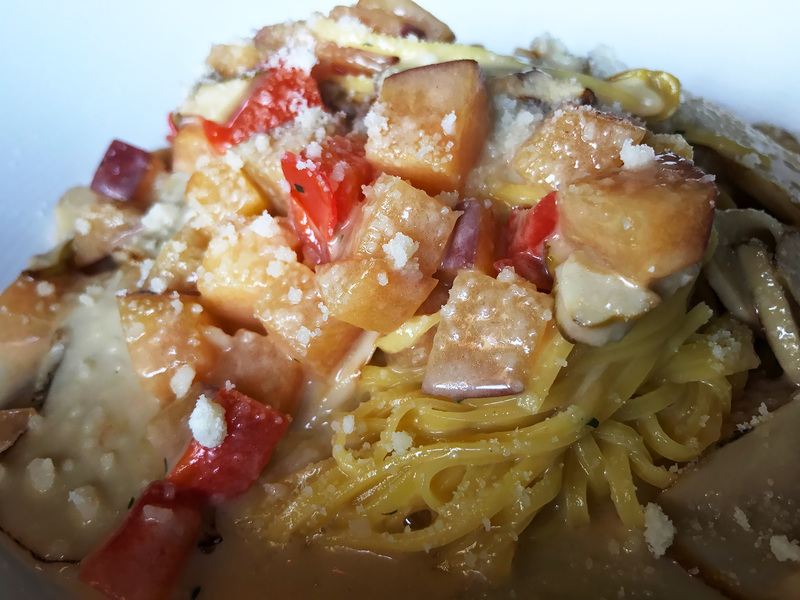 In contrast, the tagliolini with yellow peaches, tomatoes and porcini mushrooms, was a wonderful seasonal riff on local bounty, and not too sweet for the red wines on the list. 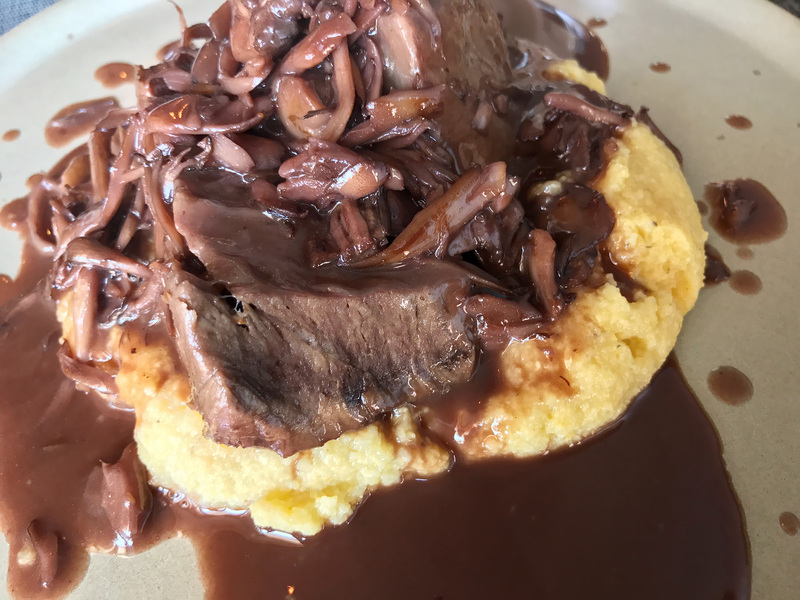 We also felt compelled to try the brasato: long-braised certified Piemontese flat-iron steak, cooked to meltingly tender and served atop polenta with hen of the woods mushrooms and a Nebbiolo reduction. Perfect with any of the Nebbiolos on the wine list. And if it’s this good at the height of summer, imagine the winter pleasures of this dish! In a meal of excesses, what’s one more? 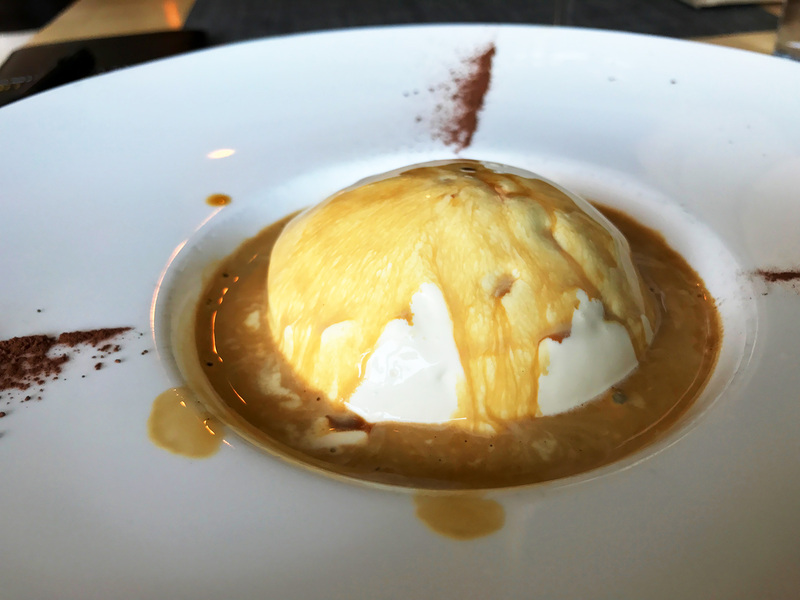 We closed down the house by lingering longer over the best affogato I’ve had in the bay area. Homemade vanilla gelato with a perfectly pulled espresso poured on top. Semplice e squisito (simple and exquisite). Look for the bottega to open in the coming months on Piedmont Avenue.